The Stone Pine (Pinus pinea) is a Mediterranean tree, where it has carried out an important role protecting the earth, helping sand-banks and dunes stay in place. This species of tree has different common or vernacular Spanish names in different regions: pino doncel, pino manso, pino real, pino albar, pino blanquillo, pino doméstico and pino piñonero. 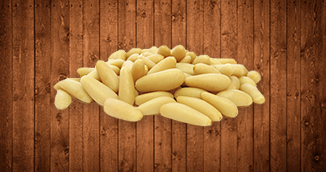 The Iberian pine-nut is the stone pine’s seed, and is found mainly on the Iberian Peninsula. Pinus pinea needs around 20 years of growth until becoming productive, and will continue to be so for a maximum of 75 to 100 years. 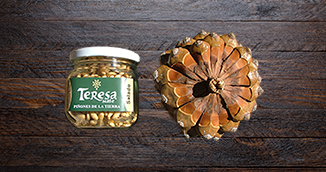 The Iberian pine-nut is characterized by its exquisite quality, flavour and aroma, which are due to the presence of aromatic compounds in their resin. This characteristic makes them ideal for consumption. Pine-nuts are true sources of health, thanks to the fact that their proteins are rapidly assimilated and they contain high quantities of sodium, potassium, calcium, iron and magnesium, fundamental nutrients for the body’s growth. The pine-cones are ovoid, between 8 and 15 cm in length, and they mature in their third year, whereby on the same branch of a pine-tree you can see different stages in development. The pine-nuts that come from the pine-cones are covered by a hard shell, approximately 1 cm long, and are fleshy and tasty. 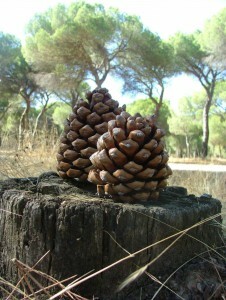 In Spain, pine-cone collecting takes place between November and January. It is common in the Central and Southern areas of the Iberian Peninsula. They normally grow at elevations up to 1000 to 1200 meters above sea level, forming single-species forests, generally in siliceous soil. They tolerate summer drought very well and can handle gentle freezes. 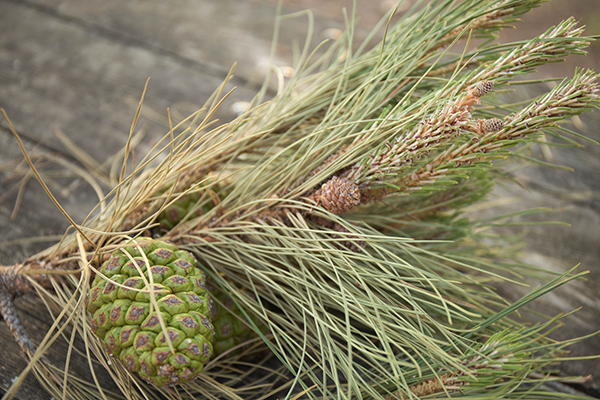 Pinus pinea is very versatile, and all parts of the tree are used: seeds, fruit and wood. The wood can be used in carpentry and structures, being useful in maritime construction, due to its light weight and flexibility. The pine-cone can be used to produce charcoal, to make paper and to obtain the ever sought-after pine-nut. The pine-nuts are used as an appetizer or in cooking. From a garnish for salads to an ingredient in sauces, and, most of all, in desserts. It is common to find the pine-nut in the Mediterranean diet. In ancient times, pine-nuts were considered an aphrodisiac. Spain is the main worldwide producer of pine nuts, followed by other Mediterranean countries such as France, Italy and Turkey. Andalucía has over 200.000 hectares and Castilla y León have over 90.000. 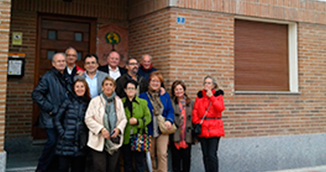 Our village, Pedrajas de San Esteban, produces 90% of the pine-nuts in Spain.